eHealthObjects Advisory Board provides the strategic direction to the executive team on latest healthcare market trends, the gaps in the healthcare industry, the road map and strategy to fill these gaps. Dr. Agarwal has over 30 years of expeience in treating various mental disorders in adult population. DR. Agarwal has won many awards in his career including the ‘Exemplary Psychiatrist Award’ from National Alliance for the Mentally Ill in 1992. Prior to joining the eHealthObjects Advisory Board, Dr. Agarwal worked at Central Medical College, Petersburg, VA as medical Director of Geriatric Medical Services. Dr. Agarwal holds a MBBS (Medical graduation) degree from Gajraja Medical College, Gwalior India in 1963 and did his residency in Psychiatry from Central State Hospital in affiliation with Medical College of Virginia (MCV). 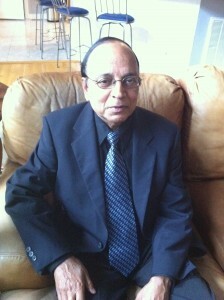 Dr. Agarwal completed the board certification from American Board of Psychiatry and Neurology in 1980. Dr. Agarwal is a member of American Psychiatric Association and also works at PACT team at District 19 Community Services Board (CSB). Mr. Rosman is an entrepreneur and attorney with over 50 years of experience representing small and mid-size businesses across diverse environment and industries including physicians, dentists and mental health counselors. Prior to joining eHealthObjects Advisory board, Mr. Rosman was the President of his own law firm in Richmond, Virginia. His other experience include working as outside general counsel for a commercial mortgage banker/lender making non-standard loans secured by properties nationally and internationally including USA, MEXICO and DOMINICAN REPUBLIC. Mr. Woo is a global leader with 20 years of experience in financial sector across diverse environment and industries. Prior to joining the eHealthObjects Advisory Board, Mr. Woo held senior management positions at Capital One Financial Services and Royal Bank of Canada. Mr. Woo holds a Master’s degree in Business Administration (MBA) from University of Western Ontario, Canada and a Bachelor’s degree in Science (B.Sc.) from University of Toronto, Canada.